Annotation we know is a comment, reference, or markup attached to image or text. As its name suggests, video annotation refers to the explanation of the video over the video. It is usually a layer of text attached to a video. For example, we usually find bubble-like notes appeared on a video. There is no denying that video annotation enriches the content of a video and helps people understand it thoroughly by adding extra information, engagement and interactivity. YouTube enabled annotations long ago but the latest news says it won’t allow users to add annotations to videos and edit annotations after May, 2017. The existing annotations will continue showing on the video. As to people who are in need of annotating a video, you will need a program that will do this easily for you. Download and install the video annotation software to your computer. 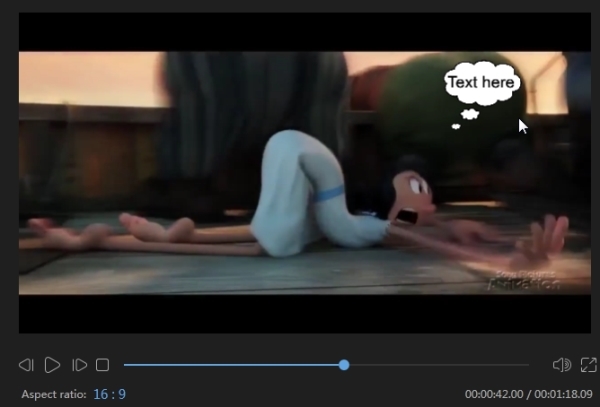 Import the video that you are going to annotate by clicking the “Import” button. Drag the video to the timeline and go to “Text” tab, from which you can apply the text style to your video. After you add the text to the timeline, set the duration it shows over the video. Click the “Edit” button and you can then set the font style, size, type, color, motion, etc. Drag the text style showing on the video in the right player window. You can put it everywhere you want over the video. 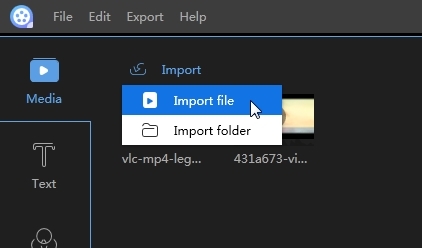 Click on “OK” and then “Export” > “Export video” to save the annotated video file on your computer. Aside from annotating video, this powerful tool also lets you add filters or effects onto it. Moreover, overlays or what we call frames are also available. Get these elements to your video on ApowerEdit now. 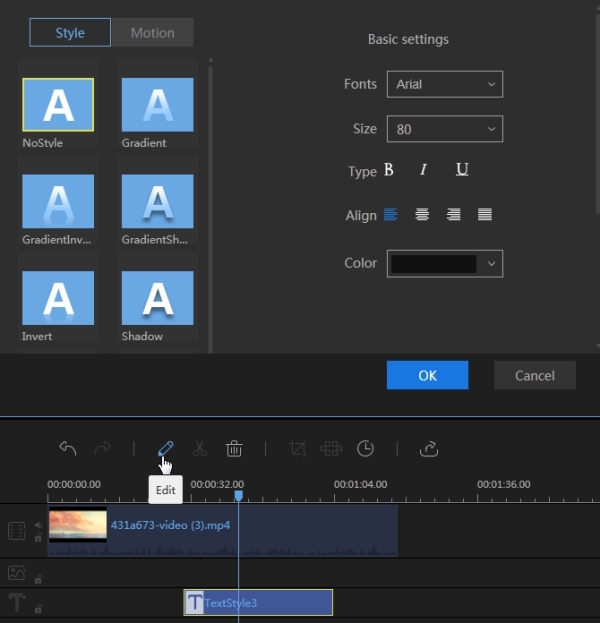 Windows Movie Maker provides basic editing features for people to trim undesired video clips, add special effects, apply animated features etc. To add annotation over the video, you just need to use its “Caption” feature. There will be a text window on the player which allows you to type in what you want, set the caption duration, the font size/color/style, etc. You don’t have too many options on the annotation side of things. Only a few commonly used ones are available. After you add annotations to videos, you can directly upload your video to YouTube, Facebook and Twitter instead of saving it to your computer. VideoAnt is a free web-based service for video annotation developed at the University of Minnesota. To have a better experience with VideoAnt, Google Chrome is highly recommended to use. You can log in this service with your preferred social network accounts. Select the “New Ant” button and you can enter the URL of your video file or the YouTube video in the pop-up. If you previously published your own videos on YouTube, click the “Browse My YouTube Uploads” and click the “Load” button, the video will load into the annotation screen. Play the video, select the “Add annotation” icon located beneath the video player each time you need annotate videos. The video will stop playing and a text box will open on the right side and you can put your ideas there, like the subject and the content of your annotation. Click the “Save” button to complete the annotation. Repeat this process until you added all of annotations you wish to add. Notice the annotations are marked on the bottom of the player. You can drag the marker to adjust the timing of an annotation. Click the “Gear” icon to share the video. VideoAnt is a very good video annotation software. The only drawback of the software which is noticeable is that the annotations have no style changes. This means the text is just plain and a little boring when adding to the video. VideoAnt is quite suitable for students who need it to display ideas over their videos. Compared to the other two programs, it lacks of effects and not attractive to people. ApowerEdit is quite the opposite as it provides different styles and is filled with fantastic features it. 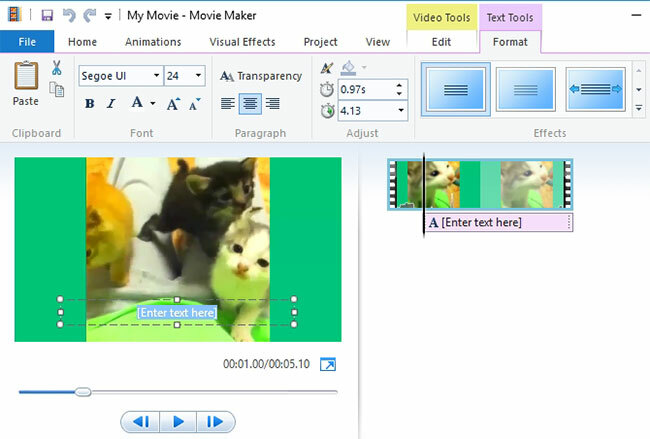 If you are a beginner in adding annotations to videos, Movie Maker should be your primary choice.